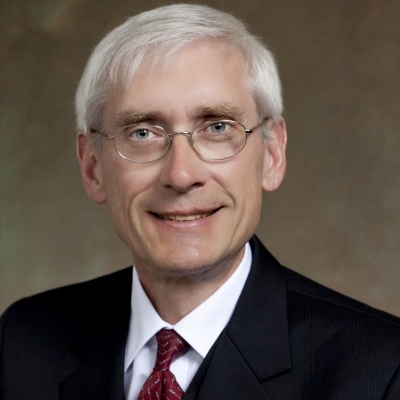 MADISON – Despite opposition from four statewide major medical organizations and women of Wisconsin, Republicans in the State Legislature have made clear their intent to fast track a dangerous abortion ban, beginning with a public hearing Tuesday. If passed, this bill would prevent physicians from providing counsel and care for women during medically and ethically complex pregnancies – including those that pose a risk to a woman’s health. The bill bans abortions after 20 weeks “postfertilization.” It is unclear exactly what this deadline means since this is not how physicians date pregnancy. The bill, introduced by Senator Mary Lazich, a longtime advocate for making all abortion illegal in Wisconsin, ignores the fact that the state’s most highly regarded medical organizations like the Wisconsin Section of the American Congress of Obstetricians and Gynecologists (ACOG), the Wisconsin Medical Society, the Wisconsin Academy of Family Physicians, and the Wisconsin Chapter of the American Academy of Pediatrics oppose this abortion ban because is not based in sound science and is dangerous to women. In fact, no medical organizations support the bill — only political groups that want to ban all abortions support the bill. “The practice of medicine by legislators who have no medical background and who will never understand the real world impact of their ideological agenda is damaging to families and damaging to the profession of medicine,” said Dr. Douglas Laube, practicing obstetrician and former President of ACOG and former Board Chair of the of UW-Madison Obstetrics Department. Abortion later in pregnancy is very rare. In 2013, 85 abortions in Wisconsin occurred after 20 weeks, and these very often involve severe fetal anomalies or a serious risk to the woman’s health. These are extremely complex situations where a woman, her family, and her doctor need every medical option available. Ginger Thew knows firsthand how difficult these situations can be. In April of 1993, she was married with three young children and a fourth on the way. Ginger was 26 weeks into her very wanted pregnancy when she learned of severe fetal anomalies that would not allow the baby to survive and posed a great risk to her own health. After counsel with multiple specialists, she chose to end the pregnancy. On behalf of our respective organizations, we urge you to reject Senate Bill 179, Assembly Bill 237, and other legislative proposals that are not based on sound science or that attempt to replace physicians’ medical judgment. Interference in how physicians should care for their patients poses a threat to women’s health. Since most politicians are not medical experts, this letter includes the medical evidence to help you understand why this legislation is bad policy, and why a woman’s decision to seek an abortion after 20 weeks should be based on individual medical circumstances and made with her physician or other healthcare provider without interference from the legislature. Many circumstances exist in which a physician might recommend pregnancy termination or a woman may need to seek an abortion after 20 weeks, including saving her own life. In Wisconsin, the majority of pregnancy terminations after 20 weeks are performed in hospitals by highly trained Obstetricians and Gynecologists (OB-GYNs). Nearly all of these procedures are performed for lethal fetal anomalies and serious medical conditions of the mother. By not allowing exceptions, the proposed legislation forces a pregnant woman to carry her pregnancy to term when 1) there is no chance of meaningful neonatal survival, and 2) the woman herself is at risk of death. The following information provides the medical evidence related fetal viability, anomalies, and pain. While this legislation bans abortion after 20 weeks of pregnancy, most OB-GYNS understand fetal viability as occurring near 24 weeks gestation utilizing last menstrual period (LMP) dating. Supporters of fetal pain present misleading evidence about fetal viability, especially in using post-fertilization age, instead of LMP dating, falsely implying high survival rates among neonates that are overwhelmingly pre-viable. Supporters may point to the survival of live-born infants in a 2015 New England Journal of Medicine study, but fail to mention that the vast majority of infants born prior to 24 weeks (LMP) died prior to or during birth. In this study, overall 95% of infants at 22 weeks died, 76% at 23 weeks, and 45% at 24 weeks1. Even among neonates that received intensive medical care, survival at 22 weeks only reached 23 percent, and 91% of those had moderate to severe neurological impairment2. Importantly, this study only looked at infants without fetal anomalies, which likely would have further lowered the survival rates. Survival alone is not the only endpoint for neonatologists; intact survival is paramount. In a June 2009 JAMA study 98% of infants born at 22 weeks (LMP) and 91% born at 23 weeks (LMP) had at least one major medical problem, such as hemorrhaging brain or bowel3. The American Academy of Pediatrics Committee on Fetus and Newborn states that “the incidence of moderate or severe neurodevelopmental disability in surviving children assessed at the age of 18 to 30 months is high (approximately 30 to 50%).” The incidence of disability remains high until 25 weeks (LMP)4. Babies delivered at these gestational ages often suffer hemorrhaging bowel, blindness, deafness, and stroke as a result of their premature delivery. provide supportive and palliative care to neonates who cannot be saved and to babies born as a result of a medically-indicated pregnancy termination prior to viability. We oppose mandates of life-sustaining care and futile care for neonates that are illogical and not desired by parents or their physicians, especially for neonates that are not yet viable and therefore have no chance of reasonable survival. The mandate to terminate pregnancies after 20 weeks in a manner that provides the best opportunity for the fetus to survive may also negatively impact the health of the mother. Again, this is unacceptable. The medical profession produced a rigorous scientific review of the available evidence on fetal pain in Journal of the American Medical Association (JAMA) in 20055. Pain perception requires conscious recognition or awareness of a noxious stimulus. Neither withdrawal reflexes nor hormonal stress responses to invasive procedures prove the existence of fetal pain, because they can be elicited by nonpainful stimuli and occur without conscious cortical (brain) processing. Fetal awareness of painful stimuli requires functional thalamocortical connections. Thalamocortical fibers, or the parts of the brain that sense and process painful stimuli, begin appearing between 23 to 30 weeks gestational age, while electroencephalography (EEG) – the measuring of brain activity in these areas – suggests the capacity for functional pain perception in neonates probably does not exist before 29 or 30 weeks. In short, while pain receptors may exist in a neonate body, before 29 weeks the brain is not developed enough to sense and “feel” the pain. Thus, the review concluded that fetal perception of pain is unlikely before the third trimester. In 2010, The Royal College of Obstetricians and Gynecologists (RCOG) rigorously reviewed the scientific literature and came to this same conclusion stating, “in reviewing the neuroanatomical and physiological evidence in the fetus, it was apparent that connections from the periphery to the cortex are not intact before 24 weeks of gestation and, as most neuroscientists believe that the cortex is necessary for pain perception, it can be concluded that the fetus cannot experience pain in any sense prior to this gestation”. Supporters of fetal pain legislation only present studies that support the claim of fetal pain prior to the third trimester. When other studies are equally weighted, the conclusion of supporters does not stand. Numerous fetal anomalies are only detected after 20 weeks gestation. Legislation that bans abortion after 20 weeks will force some women, because of time constraints, to consider termination of pregnancy before they have appropriate counseling on neonatal outcomes. Such legislation leads to the possibility that more women seek abortions before they have had all the medical consultations they need to make an informed decision. While chromosomal anomalies can generally be diagnosed by 20 weeks, some low-risk couples do not elect to have testing and instead learn that their fetus has a chromosomal anomaly during a fetal anatomy screen at 18-20 weeks. Moreover, many lethal or serious fetal problems that are not compatible with life outside of the womb are caused by conditions that are structural (not chromosomal) and are not susceptible to testing by amniocentesis. Thus, these can only be diagnosed by detailed ultrasound examination. Many tests cannot definitively diagnose grave conditions affecting a pregnancy prior to 20 weeks because the fetus is not sufficiently developed for those conditions to be detected. Even in cases where an ultrasound detects indications of a structural anomaly prior to 20 weeks, additional tests (such as amniocentesis or echocardiogram) are often necessary to confirm the diagnosis. Scheduling those additional tests and obtaining the results will take additional time, often up to two weeks. By the time a diagnosis is confirmed by a specialist capable of diagnosing these anomalies, the pregnancy has often progressed beyond 20 weeks. As a result, a woman whose fetus is critically impaired often will not learn that fact until well into the second trimester. The medical difficulty—if not impossibility—of diagnosing many of these lethal structural defects before 20 weeks is heightened by the fact that additional tests and doctors’ appointments are often needed to confirm the anomaly. Once the diagnosis is confirmed, additional time is often needed to make a well-informed and careful decision about whether to terminate the pregnancy. General obstetricians who suspect a problem based on an ultrasound at 18 to 20 weeks often refer their patient to a perinatologist for confirmatory study and then diagnosis. These confirmatory tests take additional time—sometimes several weeks—to schedule and obtain results, particularly for women who live in rural or underserved areas. The final diagnosis will thus regularly take place near or after 20 weeks. Based on this evidence and on behalf of the patients we serve, we again urge you to oppose Senate Bill 179 and Assembly Bill 237. We appreciate your attention to this irrefutable medical evidence and compelling consensus of health care leaders in our state.